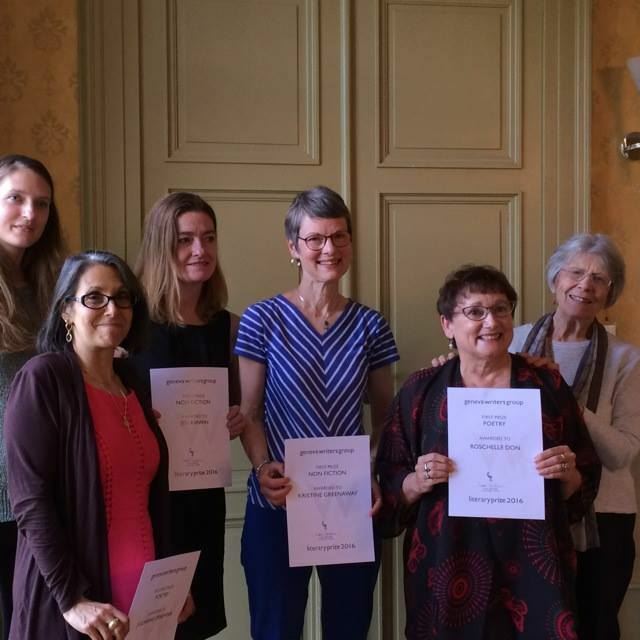 A guest post from Carmen Bugan, who has been a member and instructor with the Geneva Writers' Group, and who returned to the US almost exactly a year ago today. The upcoming inauguration of the next president of the Unites States fills many people with anxiety, but it horrifies me. I am an immigrant and I feel that my values are directly under attack. I come from a family of political dissidents. My father spent twelve years in Romania’s worst prisons because he fought for the truth, human rights and freedom of speech. He bought a typewriter illegally; ordinary people were not permitted to own them, both typewriter and owner had to be fingerprinted and surveilled by police. Dad buried the typewriter in the backyard every time he and my mother were finished with typing stacks of anti-communist manifestoes. We immigrated to the United States at the end of 1989 as political refugees, just when the Berlin Wall was brought down and the Romanian Revolution littered the streets of Bucharest with dead people who hoped for freedom. My first poems were written to a photograph of my father which we kept in our beloved house, where we had been subjected to years of secret police surveillance while he served in prison. It took me time to understand myself as a freed person, to translate my poetry into English, and then write directly in English, which has become my adoptive, comforting language. I left my native language because it felt corrupt by the informers who destroyed my childhood, by the surveillance which has turned my family and me into fearful and suspicious people, by the slogans thrown at us by a dictator who saw himself as the father of all people and tortured anyone who criticized him. The English language was a rebirth: of speech after long silence, of dreams after despair, of hope and gratitude that my father’s fight for freedom was welcomed and respected by Americans who gave us a home among them. My writing took roots in this beautiful new language and I could finally articulate my story and dream my place among my fellow Americans: I had become a naturalized citizen and also a linguistic citizen. I wonder what would have happened to me and my family had we been subjected to Trump’s proposed vetting of immigrants. Out of gratitude for this country, immigrants may not say much to criticize it, but we are very sensitive to demagoguery and any gestures that threaten freedom of expression. We know all about grand, empty promises, policing the speech, the way a slogan can enter the heart of a family that struggles to pay bills. We know how people can fall into the trap of words. We know when the rhetoric is directed against us. But those of us who are writers are aware of the price paid in our own families for the freedom to shout out ‘This is wrong!’ and be heard. We are now in the age of a president-elect who is trafficking into horrible side stories about immigrants, who wants to deport hard-working families, who is beginning to make rules about the ways in which people protest against injustice in this country, who disrespects and lashes at anyone who speaks against him, who deals solely in lies, all the while promising the American people that he will make this country great again. This is a police state in the making and the worst part of it is that people are already afraid to stop it. I watch the major TV news channels in horror: why are they making headlines out of Trump’s tweets when Trump bypasses them? One of Trump’s top advisers said the job of his administration is to implement the vision of Trump. Why should his opportunistic, dehumanizing vision determine how I am going to raise my own children? Why should I go to sleep at night worrying whether the President of the United States will destroy health care, education, make enemies all over the planet, and shut all Americans inside a big fat wall? Why should I worry that he fills his cabinet posts with billionaires who made a fortune exploiting poorer nations? This is an open letter to the immigrant writers of the United States of America. Let us get to our notebooks and write the compassionate, amazing stories of immigrants who have made this country the reason the world still wants to flock here. Let us write shimmering, nuanced, beautiful words, poems and stories full of love, let us show the Americans who welcomed us here the generosity of their hearts. Let us help those who cannot yet see the dangerous path America is taking, step away from it. Let the great American writers who have enjoyed working and growing in one of the most beautiful languages on earth, a language of song and poetry, let them join us with their stories of how we became their friends and learned from them. I believe that the English language is hurting: it suffers from materialism, from empty slogans, and it has been reduced to buzzwords. We need to open our hearts to this language and in turn the language will give us the resources to resist lies. The immigrant writers bring to the English language the wonder of looking at it afresh, and with gratitude. This is the wonder that most natives lose soon after that magic period in childhood when they begin to read and write, to unlock the power of words and the thrill that the language has opened to them the right of ways. 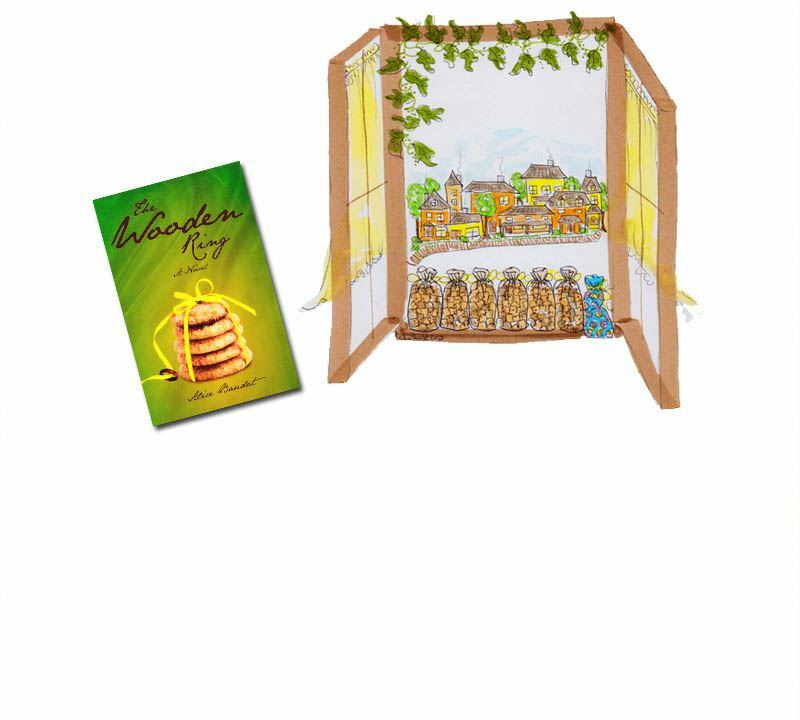 This language needs words from other countries, rhythms from other parts of the world, tears and laughter from the huts and homes of people in faraway places; it must taste their fragrant foods and it must nurture their hopes. We must not be afraid to look into the eyes of danger: let the writers be like surgeons who have enough emotional distance that they can perform that operation which removes the tumor. There are many people who are discontent in this country: enough that they have turned to Trump. The writers must serve these people with good words that will bring peace and understanding. There is no love but in the word of it. 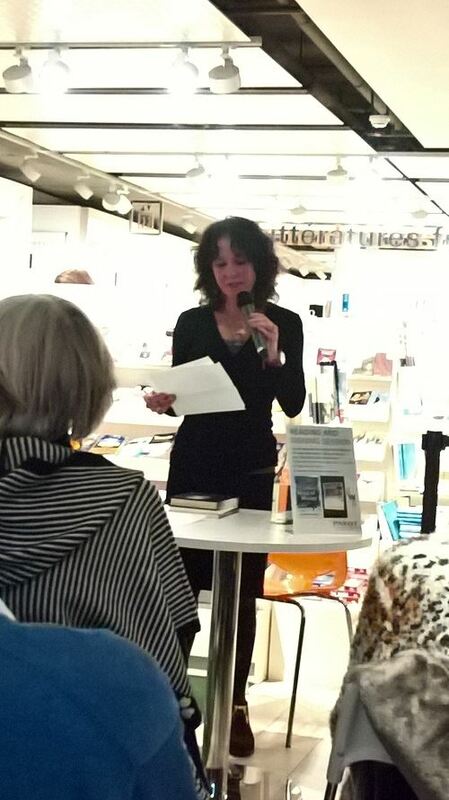 As soon as I heard that the GWG was thinking of inviting Laura Kasischke to Geneva to be a guest instructor for poetry, I knew I had to make every effort to be there. So I came all the way from the UK to see and hear her (and I was not the only one). Of course, Laura herself came all the way from snowy Michigan, battling jetlag and not quite getting to see anything of the city, just to share with us her love of poetry, inspire and motivate us to keep on writing and improving. 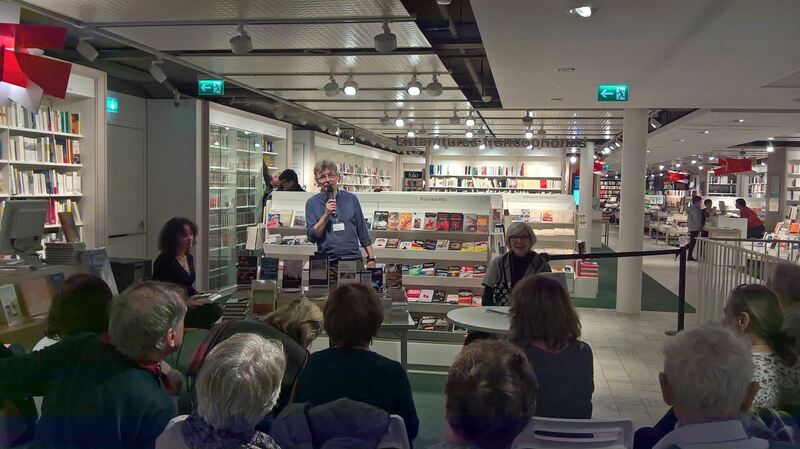 The weekend started with a Friday evening of poetry readings and signing with Laura and Wallis Wilde Menozzi in the magnificent surroundings of Payot Rive, with their knowledgeable and supportive staff. The two poets both write prose as well, but when they were asked which of the two they would choose, if someone were to tell them that for the rest of their lives they could only do one or the other, they both replied: 'Poetry.' After all, you don't choose to write poetry, it chooses you! On Saturday 18th we discussed imagery in poetry, based on Pierre Reverdy's statement that the image is born from a juxtaposition of two more or less distant realities. The greater the distance, the more interesting the image gets - as long as we don't lose the truth of it! Laura encouraged us to put unlikely things together and, if it doesn't immediately work out, to allow things to mate and gestate in a drawer. The masterclass on Sunday was intense and exhilarating. When else do you get a chance to discuss poems all day with a group of 13 like-minded people? You learn so much not just from having your own poems dissected and edited (and, occasionally, partly admired), but also from other poets' images and from their attempts to convey certain thoughts or sensations. Laura proved to be the ideal workshop facilitator, always encouraging, warm and positive. 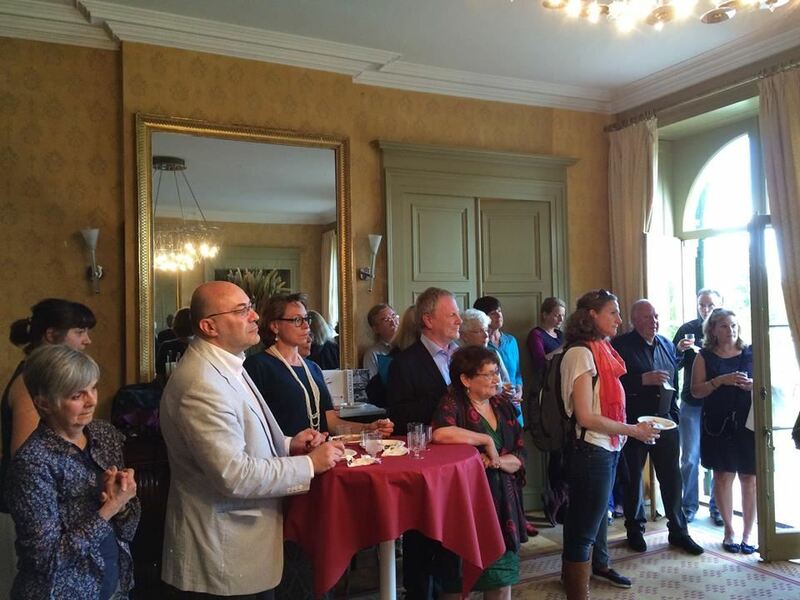 I left the Genevois weekend feeling nourished, nurtured, reinvigorated, full of renewed passion for words and poetry, bursting to the seams with ideas and the courage to try them out. This is what keeps so many of us coming back to the events organised by the Geneva Writers' Group, even though we have moved away from the area. There is a magic in such a diverse group of people, with perhaps only one thing in common: an all-consuming passion for the written and spoken word. Alice Baudat was born in Chicago but now lives in Switzerland with her family and a few furry four-pawed friends. She has published two books set in a small town in the mountains (which reminded me a little of Joanne Harris' Chocolat) and is well-known within the GWG community for her delightful, humorous drawings. You can find Alice online at her website and, as you might be able to tell from her answers below, she has a dry sense of humour, as well as being rather modest about her work. My fourth grade teacher told the class to write a book. This was the only English lesson I got right! George and the Mushroom Men was the title of my first book (I married George). Inspiration comes in a flash, anywhere-anytime. I have many favorite authors. A long road never finished but then worth the painful and rewarding journey of a real book. Sitting in my corner-and pulling the strings of my make believe world. Fictional life is a puppet show. 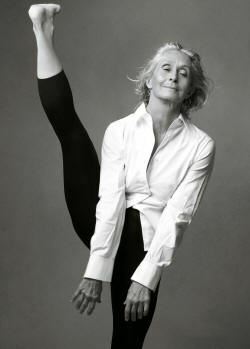 Getting it right-making the words feel good-and then deciding to stop and go ahead. Afternoon, my dog in her basket and a cup of tea for revival. How did you hear of GWG and how has it helped your writing? From a friend of a friend-everyone who writes needs to know another writer. The plain fact that this hunk of paper is REAL. And a dream has become reality and there are more dreams to come. Just sit down and write-keep note of your inspirations-and don't feel that you have no talent because everyone that works with words does it in their own way not like the writer next-door. And don't give up. 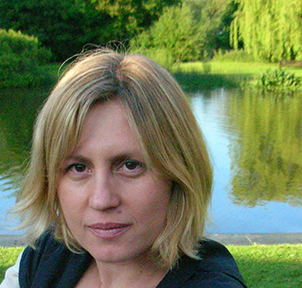 Anne Korkeakivi is an American writer, who has worked for many years as a journalist, but chose to focus on fiction after coming to France. Her first novel, An Unexpected Guest, was published by Little, Brown & Co. in 2012 and garnered comparisons to Virginia Woolf's Mrs. Dalloway. 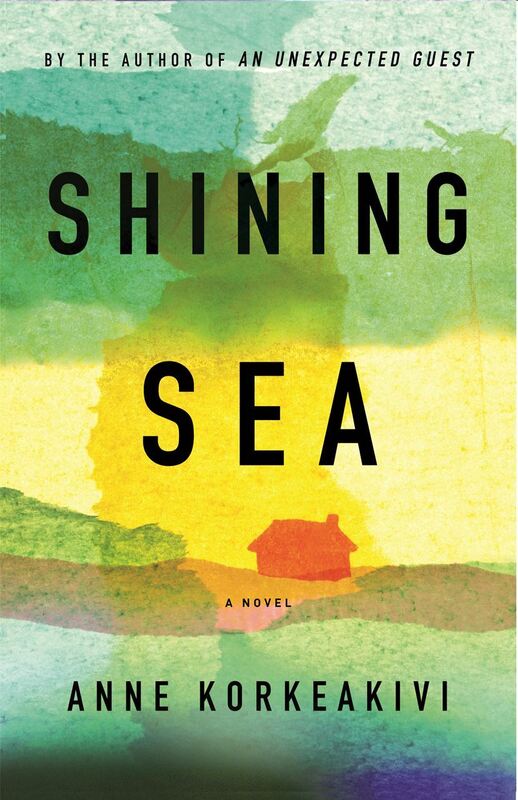 Her second novel, Shining Sea, will come out also from Little, Brown on the 9th of August this year. 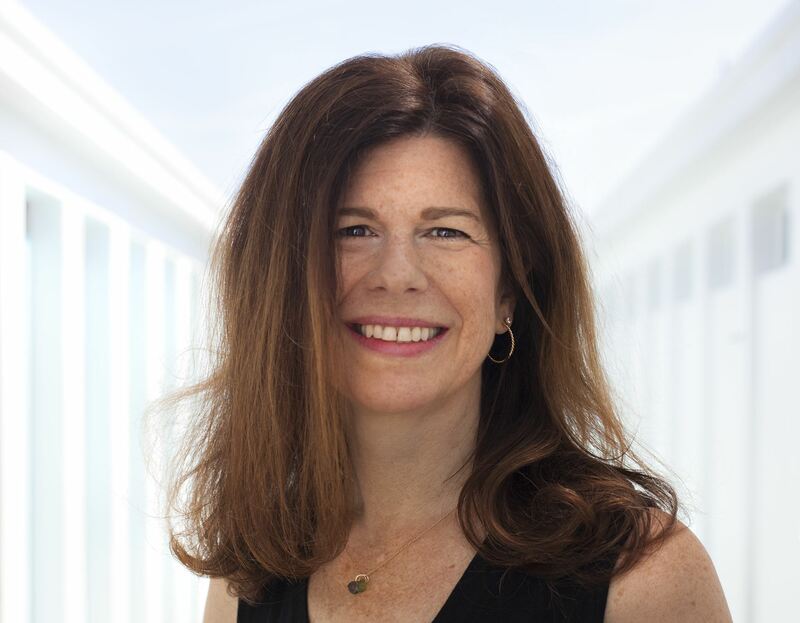 Anne is currently based in Geneva with her family. She is not a GWG member but does occasionally attend our conferences and other events. You can find her online at her website, on Facebook, on Twitter and Instagram. I’ve always been a bookworm and a storyteller. When I was a little girl, four or five years old, all long braids and freckles, I’d lie in bed at night and tell myself continuing stories, each night a new episode. It came naturally. Happily for me, my parents were readers; their bookshelves were a treasure trove, heavy with work by the likes of Joseph Conrad, William Faulkner, E.M. Forster, D.H. Lawrence, Virginia Woolf. I write literary fiction. For many years I worked as a journalist, and I also still occasionally write essays and articles. Literary fiction and journalistic nonfiction are my favorite things to read as well--although I enjoy and read other genres too--which may not be unrelated. One interesting truth of writing is both love and anger, and both beauty and horror can provide inspiration. History, news, nature, human beings – there’s inspiration everywhere. 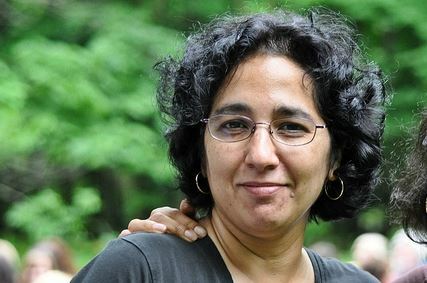 While I’ve always written fiction in spare hours and I earned an MA in English and Comparative Literature from Columbia University, for many years I made my living with nonfiction, contributing to different publications in the US and UK: the New York Times, The Wall Street Journal, The Times, etc. I occasionally wrote book reviews but mostly I wrote about the other arts, travel, or culture. At some point after I’d become a mother and moved to France for my husband’s work, time and geographical constraints told me I had to make a choice between these two poles—fiction and nonfiction. I decided to gamble. I took a freelance editing job with a publisher in Paris and gave myself one year without working as a journalist to teach myself to write effective fiction. In the eleventh month, I received my first acceptance of a short story for publication. I continued writing short stories until I felt ready to start on a novel. I worked hard, completed a solid draft, and found a wonderful agent in NY to represent it. If you mean what part of the process: when I’m deep inside a story, when the story has become its own world, and I’m reaching into it, discovering. I suppose when I’m not deep within a story. Being between stories leaves me dangling. Writing is my profession, so my writing routine is similar to other 9-5 work routines, except that my office is in my home, I’m alone, and the hours are longer. I get to my desk by 9 am at the latest and stay there as long as I can uninterrupted. I don’t usually break for lunch but, because I’m a mom and because I work at home, my days can also involve, for example, helping my kids with whatever is going on in their lives or talking with a plumber. I typically save the actual writing of fiction for days when I expect to have a longer period of uninterrupted time. On other days, I might edit already written work, do research, work on nonfiction, social media or emails. A couple of times a week, I’ll take an hour out for a run, an excellent way to clear my head. When I have a book (or article/short story) coming up for publication, my hours really go haywire, however, because my agent and publisher are based in the US, six hours behind us here in Geneva. I can be back at my desk responding to email requests, for example, well after midnight. It’s completely worth it, though. I’m not complaining! How did you hear of GWG and how has it helped your writing (if it has)? 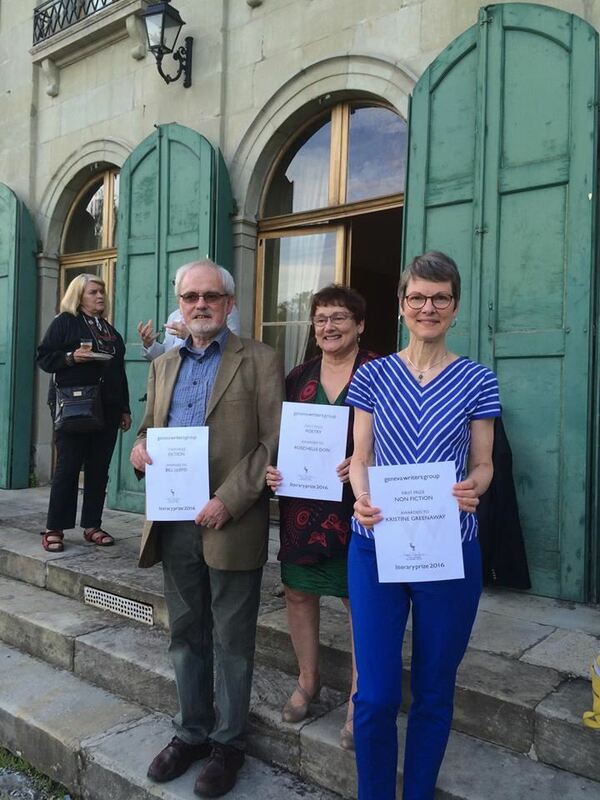 When I learned I was moving to Geneva, a friend of mine in Paris, who had attended a GWG conference, told me about Susan Tiberghien, Susan is a really cool lady, my friend told me. That’s an understatement. I’m not a member of the GWG, but I have attended a couple of the conferences now myself. They were super. I like to think of myself as an enthusiastic, if off-stage, GWG advocate. No matter where you are as a writer, from just starting out to making your living from it, the encouragement and shared knowledge of a supportive community is invaluable. 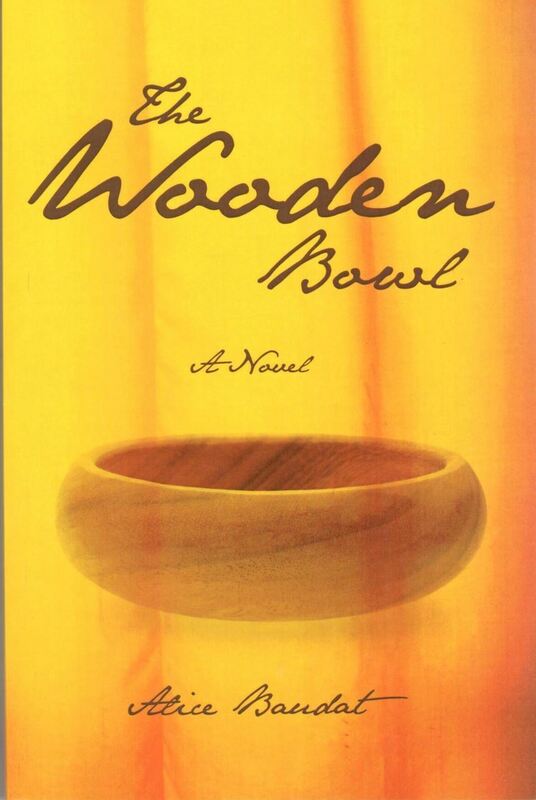 The practical process of publishing a novel was a non-stop learning experience for me; the period from manuscript submission to appearing on the shelves of bookstores is more labyrinthine and requires more continued participation from the author than I had understood. It has given me even more respect for publishing houses. I feel honored to be a part of what they do, as an author. Some of the nicest surprises post-publication have been the people who went out of their way to champion An Unexpected Guest. Getting the word out on a novel takes the support of others, and the individuals who showed up for readings and bought books, posted on social media, proposed my work to their book group, blogged about it, wrote nice reviews on Amazon or Goodreads, gave copies for Christmas presents, etcetera, were my heroes. It wasn’t always the people I would have expected either. So, while there have been some deep disappointments, there have also been the loveliest of surprises. I send huge thanks in advance to anyone who does the same for Shining Sea now! Try reading like a writer, and work very hard. When you think you’re done, take a moment to celebrate--and then ask yourself whether you may well have only just started. But don’t give up! 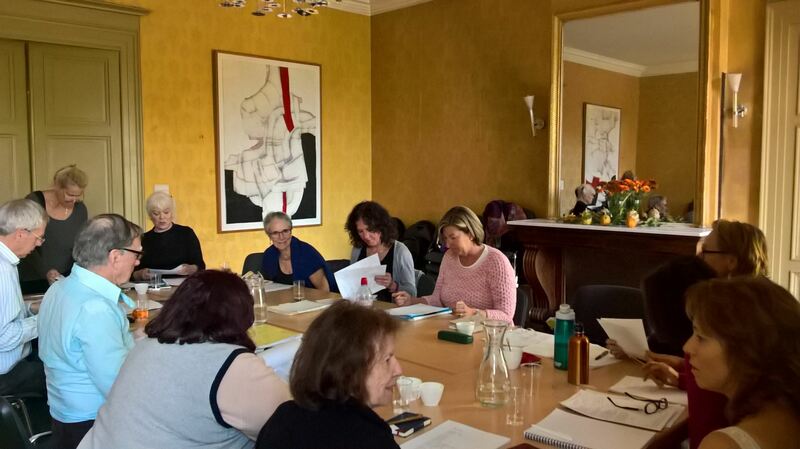 11 June was our final workshop for the 2015/2016 season and saw a lively and informative session on new developments and opportunities in publishing in the morning - with gratitude to the panellists Diccon Bewes, Alison Anderson and Susan Tiberghien. Congratulations to all of our winners and a huge thanks to Nancy Frazer for organising the event and to Olivia Wildenstein for stepping in to announce the winners on June 11th. Happy writing over the summer and see you back in September 2016! 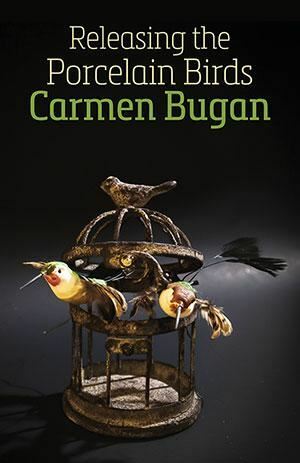 Carmen Bugan was born in Romania in 1970 and emigrated to the US with her family in 1989, following her father's imprisonment for protesting against the Ceausescu regime. 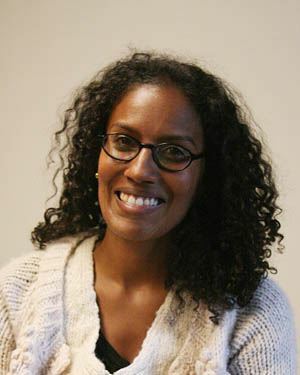 She was educated at the University of Michigan (Ann Arbor), Lancaster University, The Poets House (Ireland), and at Balliol College, Oxford, where she obtained a doctorate in English Literature. Her memoir 'Burying the Typewriter' has won the Bread Loaf Conference Bakeless Prize for Nonfiction, was BBC Radio 4 Book of the Week and shortlisted for the George Orwell Prize for Political Writing. 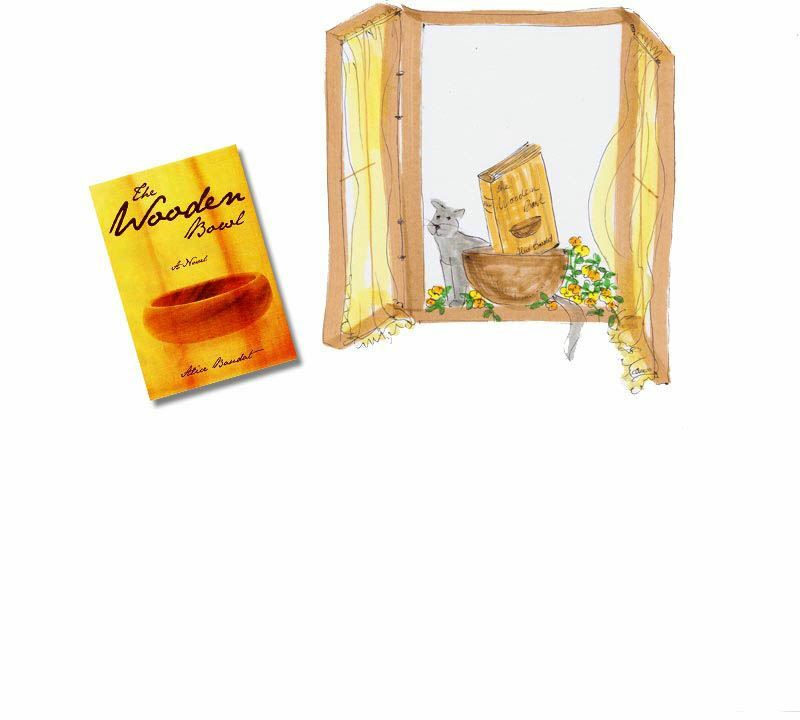 Shearsman Books has just published her third collection of poetry 'Releasing the Porcelain Birds'. But to those of us who knew and loved her, she was an inspirational workshop facilitator, a passionate advocate for creativity in all its forms and a really special friend. Since the end of 2015, she has moved back to the US with her young family, and we miss her dreadfully. Here is the story (in her own words) of how she is settling in. Soon after we moved to Long Island we went to the beach, where we collected egg-shaped stones, peach-colored shells, rosy stones and dark shells. The children ran on the sand dunes shouting, the winter wind blew their words every which way. We used my husband’s pockets as transport containers, and when our fingers froze with the cold, we drove back to our newly-rented, empty home. There, I took a large sheet of thick paper and drew a house on it. My husband and I sat with Alisa and Stefano on the floor as we filled in walls, windows and the roof with stones and shells. We glued them all in and made a little path that led from the white road to the door. Our belongings sailed the wintery Atlantic for more than one month. Children’s toys, our beds, plates, books, clothes took forever to arrive. We slept on air mattresses and folding couches feeling homesick. Homesick for what, we kept asking ourselves? I was homesick for the morning walks in the countryside with our French neighbors. I missed the Sunday village market. Alisa said our apartment in Prevessin must be crying from loneliness and the teachers at her nursery school were waiting for her. Stefano kept asking when we were going to install the phone so he could call his best friend who had just turned nine. One day Alessandro walked into the house with a grocery bag looking triumphant: ‘Look, I found soppressata and Lambrusco!’ He was nostalgic for his father’s favorite salami and his mother’s native wine: he missed his Italy. ‘I hope this is the last time we are going to move,’ I told my husband last summer, when we were trying to decide between England and the US as the place where he would accept the ‘permanent-sounding’ job offer. ‘Well, once we settle some place and buy a house, the rest will come naturally. We just need to give them stability.’ I tried to sound confident. How do you give children a sense of home? I am a political refugee from Ceausescu’s Romania. When I was a child I helped my parents build our own house. We had trees, flowers, and a kitchen garden. We had neighbors, friends, cousins, grandparents and our priest with his own wobbling cantor. When my father protested against communism, he was incarcerated. The rest of us became prisoners in our house, where we lived under continuous surveillance for years. After Dad was released from prison, we sought political asylum in the US. We were welcomed by people of good will in Michigan. My parents and siblings settled there. They bought houses and built a church with the Romanian community in Grand Rapids: Mom and Dad put up the church doors. Yet for me the rupture was so deep I never felt at home anywhere, though I have felt privileged to experience each place where I have lived since. After leaving my native country, I began thinking of myself as a traveler who is one with the road. I fought the need to have one place that is deeply mine. When I met Alessandro in Oxford we embraced our cultural differences and cherished the comfort of our similarities. We have lived in several countries and with the research careers being more temporary than ever, moving is a part of life. We’ve become academic migrants. I am enjoying a sort of post-exilic state of mind, and our children were born on the move, as it were. But this life style is not as light-hearted as it seems. Though you can’t beat the exhilaration of exploring new cultures and landscapes, it’s disorienting to have no place you can call home. Distance is hard on our ageing parents. We tend to improvise on furniture that falls apart sooner than the rental contracts. Transitioning the children to new schools and languages weighs on our minds too. They are at the stage when they make friends, who give them a sense of continuity. Moving is disruptive, they have to start all over again. As we prepared our Big Trip, Stefano’s friends gave him their phone numbers and skype addresses, promising to keep in touch every day. We flew in the day after Christmas with suitcases crammed full of presents from Alessandro’s family, who were sad to see him leave Europe. We are far from buying our house, even though we promised ourselves this will be the first thing we do when we arrive here. Our lives still feel provisory. The new garage is half filled with unopened boxes. We are waiting to move into that new house that will be ours and it will give us a sense of place. Alisa and Stefano are tired of being reminded not to put stickers on their doors: ‘It’s not our house,’ I say, ‘it belongs to the landlord, and last time Alisa drew her masterpiece on the living room wall, it cost us our rent deposit.’ ‘It’s just exhibiting fees,’ smiles my husband. The children have been playing a game they invented in France. It’s called: ‘Is this window ours?’ They walk around the house asking if the doors, windows and beds are ours, and if we will take them with us in our new ‘permanent’ house where we will, one day, move. ‘Nothing is ours,’ I tell them, ‘in having none we have all of them, like countries and like languages.’ I say the world is our home. This does not satisfy them. Lately Stefano goes around asking all his new friends at school to vote for Bernie Sanders. The other day he asked me to cook him Korean noodles: ‘It’s an American food, Mommy,’ he informed me delighted at this new discovery. Alisa has fully mastered the transition from Saturday to Sarrurday. Meanwhile our house of shells, which we built ourselves, just like once upon the time I built my own real house in a country far from here, sits on the dresser in Alisa’s room. Now and then someone draws a flower or a little tree in the garden: after all, it’s going into spring. Outside the kitchen door, a red cardinal and a few robins hop around. The cardinal peers inside: it looks comfortable with me, as long as I sit still. 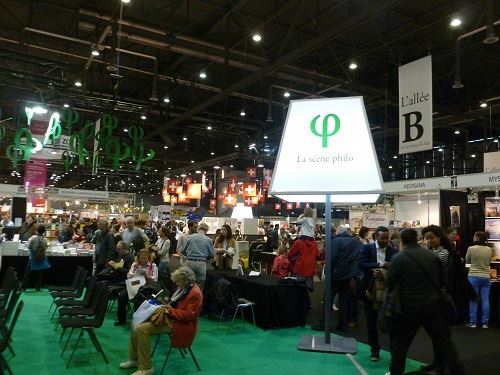 Thank you to all authors and volunteers who brought their books, time and enthusiasm to the GWG stand at the Salon du Livre at Palexpo Geneva from the 27th April to the 1st of May. 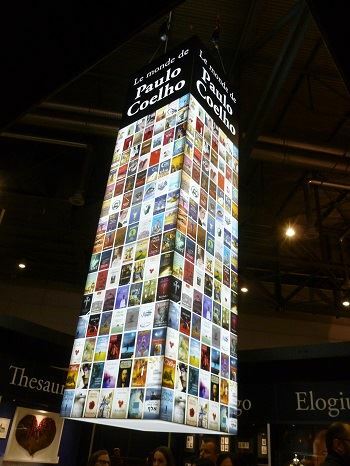 Although the Salon officially dropped the word 'International' from its title, there were many writers and publishers invited from all over the world, including the famously reclusive Brazilian writer Paulo Coelho, who resides in Geneva. 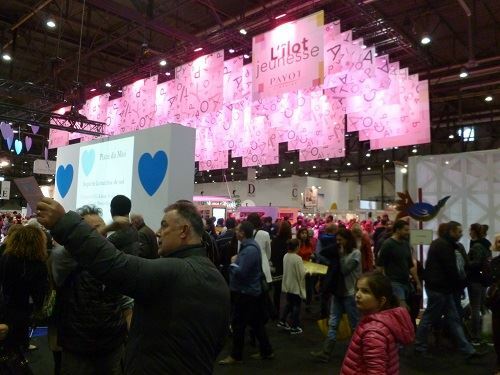 A number of big names may have been missing (Le Temps, RTS and the like), but the interactive events were larger than ever, as was the children's section. There were also many new stages this year, in addition to the traditional ones of 'Crime', 'Travel', 'African' and 'Arab' cultures. The Young Adult section, for instance, proved particularly popular, as did the Philosophy debates. 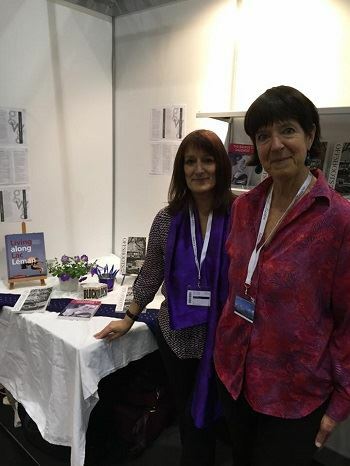 The GWG stand was small but perfectly formed, decorated and organised by Catherine Nelson-Pollard, ably helped by Caroline Thonger. Here are our two dynamos during the fair. We had a number of enquiries about the group and our events, but we were also asked what sort of books our authors had published. It would have been nice to be able to show more of them, from our 100+ published members. Admittedly, the Salon is not the ideal place to sell lots of books, so there was little incentive to bring all of them in. However, we were unmissable with our large poster! Thank you all for your visits, smiles, croissants, nibbles and encouragements! A la prochaine! Just in case any of our members thought that we had gone rather quiet lately (there have been some internet connection problems over the past few weeks), we have many exciting events coming up over the next month. Here are some to whet your appetite! 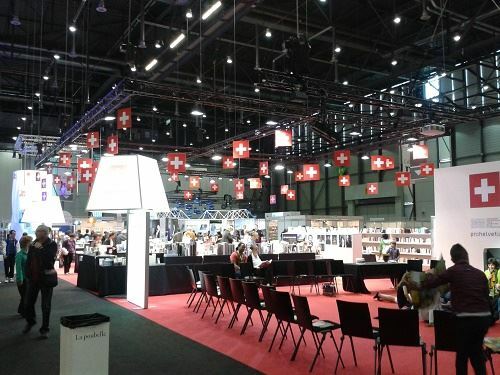 1) The 30th Salon du Livre in Geneva started this Wednesday 27 April at Palexpo (until Sunday 1 May). Over 1000 authors are invited and there will be conferences on multiple stages: Crime, Arab, African, Philosophy, Apostrophe, Authors' Stage and many more. GWG has a stand J1062 next to the big CICAD stand. Come and say hello, bring your books, answer questions about GWG membership and its benefits or just bring some sweets and smiles! 2) The last Writing Workshop for Teens of this schoolyear will take place on Saturday 14 May (10-11:15) at Wall Street English near Cornavin Station in Geneva. The tutor will be the fabulous writer and GWG member Jason Donald and the topic is ‘Writing Dialogue That Really Speaks’. The sessions are free, but we do ask you to register your teenagers in advance via gwg.workshops@gmail.com, so that we know how many are coming and can prepare accordingly. 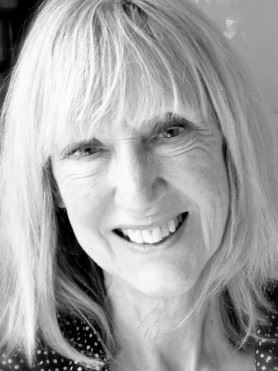 3) The next regular workshop at the Press Club will be led by Susan Tiberghien on the topic of ‘From Journal to Story’ on 21 May. We would love you to stay on after 12:15 for the Annual General Meeting of the GWG (VERY important that we have a quorum of members attending). There will be lots of things on the agenda, including new committee members, so please have your voting arm ready for use! 4) Last but by NO MEANS least, please don’t be shy or too perfectionist or just too much of a procrastinator (I’m describing myself here…) and do enter the GWG Literary Prize 2016. Previous winners in any category are not allowed to submit for 3 years within that same category, but can submit in others, if they wish. Don’t forget, it can be older (previously unpublished) work, although your own blog does not count as published. It’s free to enter, your work will be seen directly by our highly-regarded external judges and it’s a much smaller pool of talent (in terms of number of entries) than those highly publicized Mslexia or Bridport or other prizes. A win-win situation! The deadline is 1st May at midnight (Geneva time), good luck to everyone! The judges are waiting for your entries. Here are some quotes which keep me refreshed, from the well of clear water produced by inspirational writers, some of whom we have had the pleasure of welcoming to our GWG conferences in the past. You don’t have to have a long track record to become interesting to an agent or publisher. Happy inspiration and happy writing! Welcome to a new series on our blog. 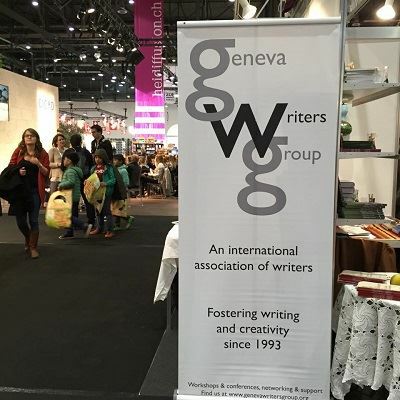 Every 2-3 weeks we will feature one of our authors from the Geneva Writers Group, so that we can all get to know each other better. If you are a published writer and would like to take part in this series please contact Sanda Ionescu. I will be interviewing via email, so there will be plenty of time to polish your answers, although spontaneity is always appreciated! I also look forward to hearing your comments and additional questions. 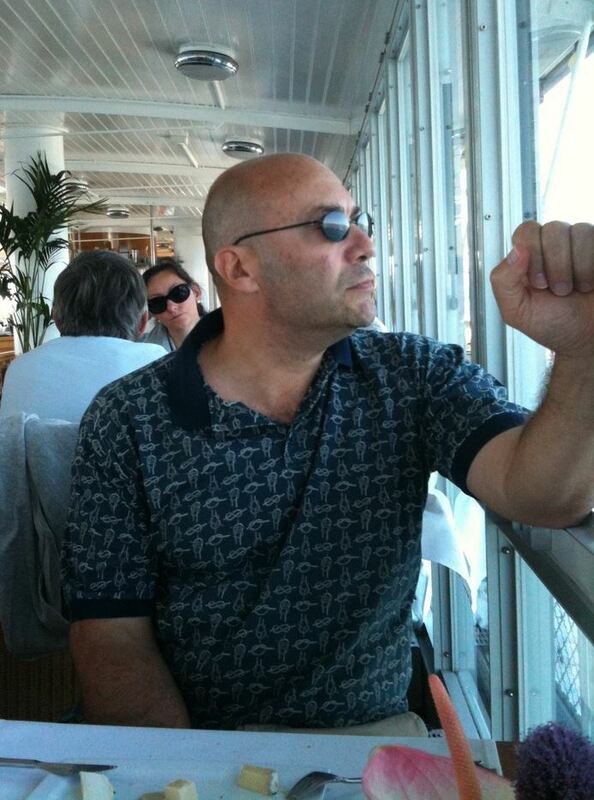 Welcome to the blog, Massimo, and thank you for agreeing to be the guinea pig for this new series. Tell us, where did your love of books/ storytelling/ writing come from? I've been writing since I was able to hold a pencil in my toddler’s hand. I daydreamed and always had a fervid imagination. Writing was a way to make everything real. Those written words, though, were only for me. I never shared this with anyone, not even in the family. Being an author was never in my mind and readers are the only ones who can say that of a writer. At what point does a writer begin to function as an author? Being an author means being held to a certain standard of quality, and I do work toward that, the best I can and using proofreaders and working with an editor. Science Fiction isn’t about squids in space, it isn’t all aliens and spaceships. A large proportion of SF never leaves the planet or encounters aliens. Science Fiction can make you think. One of the biggest unanswered questions is “what if?” SF stories deliberately explore possibilities – time travel, genetic engineering, computers in people’s heads, teleportation, what happens when the oil runs out, what do we do if we’re contacted by aliens. If more politicians read SF, we wouldn’t be in half the messes we’re in now. My father and my older brother read sci-fi a lot, so I grew up with that, all the big names: from Isaac Asimov to Ray Bradbury, Ursula Le Guin, Frank Herbert, Larry Niven, Robert Heinlein, to name just a few. Other genres too, like Tolkien, Stephen King, Tom Clancy and Italian authors like Svevo, Calvino, Sciascia. I have also come round to Greek mythology, the things I used to hate at school. We live with myths daily, even if we do not realize it. After working with a few editors on the manuscript, I started querying agents specialising in Science Fiction. I received my dose of standard rejection forms, and quite a few personal replies too, some even asking to read the first chapters. Part of the normal process of a writing career, I guess. But when I read those personal rejections more carefully, it seemed there was a different message lurking below the explicit lines: “I liked the prose, almost poetic, but I don’t know how to sell it to the publishers I work with.” So the material wasn’t bad, but the perceived market for it wasn't there... but what if it was? I therefore explored independent publishing, not the Vanity Presses (any sane person would run away from those scams), but the revolution that Amazon and the like had created in the publishing industry. So I self-published all 3 volumes of the trilogy. The reaction was much better than I expected. 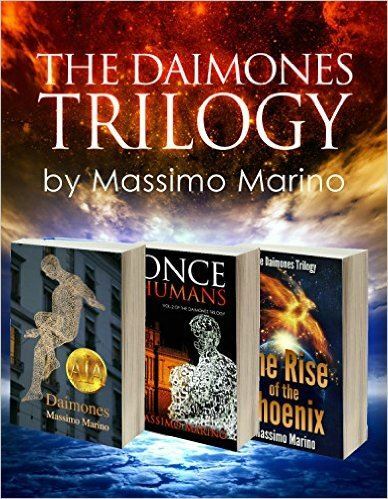 I’ve sold now over 10,000 copies of the “Daimones Trilogy" and collected over 1,000 reviews and ratings from the various sites that sell my books. 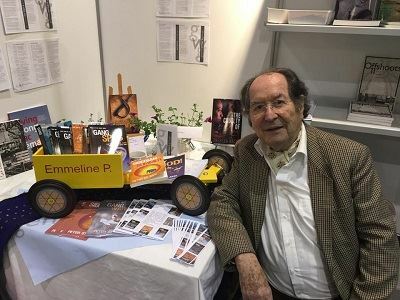 Then, one day, at a “Meet the Agent” conference, I met a fabulous literary agent who liked my work and connected me with an innovative publisher in the US. I’m exploring and enjoying the traditional publishing journey now and am a member of SFWA, the Science Fiction and Fantasy Writers of America, home of the Nebula Awards, with past winners such as Asimov, Bradbury, Le Guin, Heinlein, Arthur C. Clark, and many more. Writing is entering a different world, a separate dimension. Sometimes you find yourself in a trance-like state and the real world becomes veiled and obfuscated. It is a dream moment. I do not need to find other means of evasion from the asperity of life when I’m writing. Making readers aware that you're there. Writing is easy, being discovered is the hard part. When I`m writing, I aim to write at least 2000 words a day, in whatever situations, locations, and conditions. When I discuss this with other successful writers, I've discovered that writing habits are as varied as personalities. If any common factor exists, it is their (our) extreme seriousness about their (our) work. GWG has been instrumental in my publishing journey and adventure. GWG came into my world by the way of an ex-colleague. She wanted to be accompanied to a workshop held by this—unknown to me at the time —mysterious group of Geneva writers. We never made it to that workshop, but I discovered GWG and I decided to go to their Conference in 2012. I had already written Daimones and wanted to discover more of the writing, agenting, and publishing world. A community of like-minded people is priceless, extremely important and motivating, which was also the decisive factor behind my latest venture BookGarage. I’m not going to repeat what everybody says. Everything can be summarised in two words: Be humble.